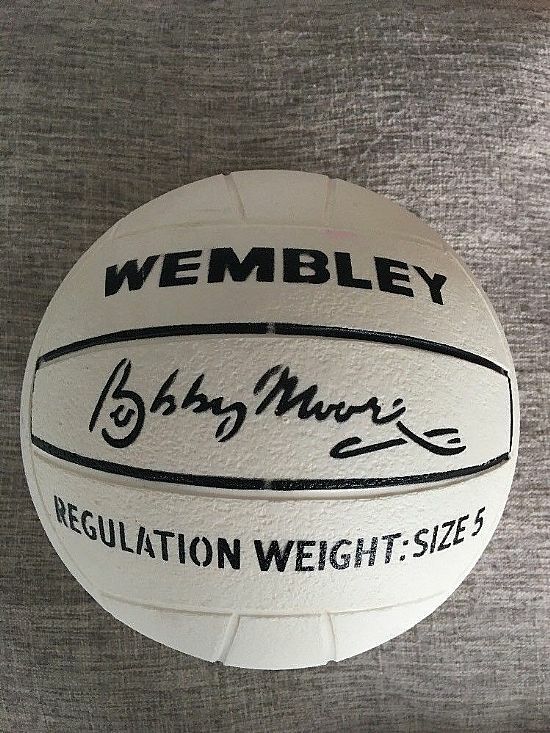 There is no more iconic reminder of my childhood than this ball and yet it seems to be completely forgotten about with no photos and very little information available on it. There must be hundreds hidden up on old school flat roofs and gutters! 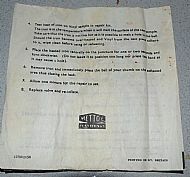 Do you remember that textured orange surface and the way the black lines were indented into the plastic. 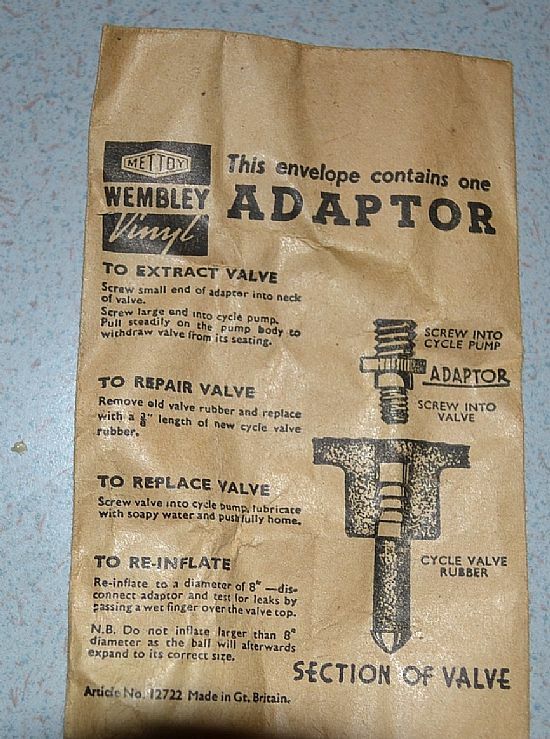 The hard valve ring and of course the repairs made with a hot knife. 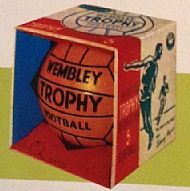 What about that strange square shaped box that folded up in triangles to hold the ball iconically in the centre? 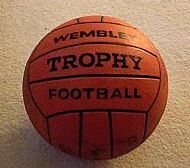 Can you help do you have any photos of you with this legendary ball - maybe you have one at the back of the shed, tired and deflated? 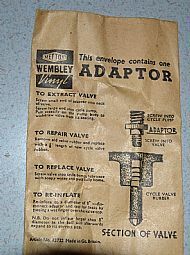 Original adapter envelope containing the metal adapter and a plastic adapter. 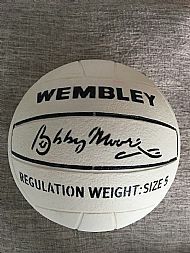 Magnificent original Mettoy Wembley Bobby Moore training ball, size 5 of course! Unused near mint and gorgeous! 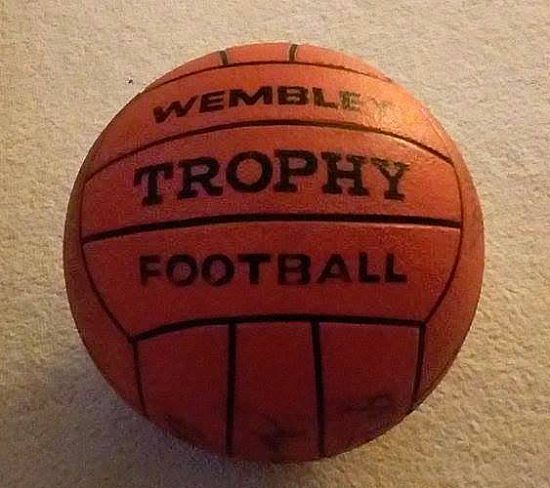 Here it is an original 1970s Wembley Trophy football in virtually unused condition. Lovely old repair kit and adapter for Frido footballs. Wow. 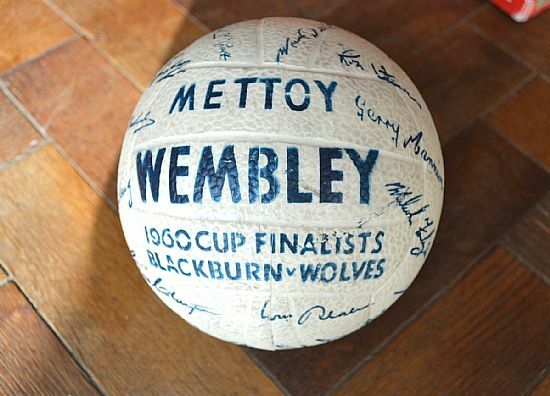 The Wembley Mettoy 1960 cup final ball with facsimile autographs. 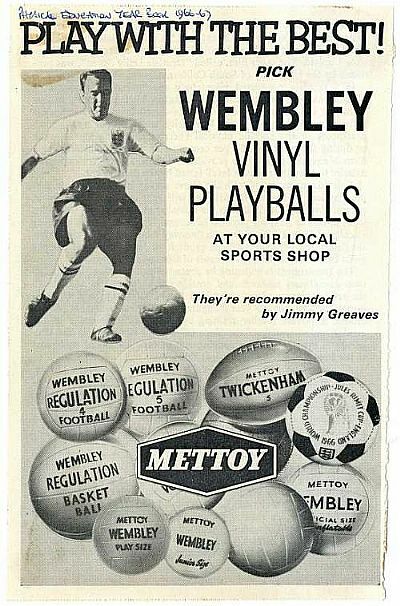 Definitely produced for 1960, 1961 and 1962 and possibly other years. 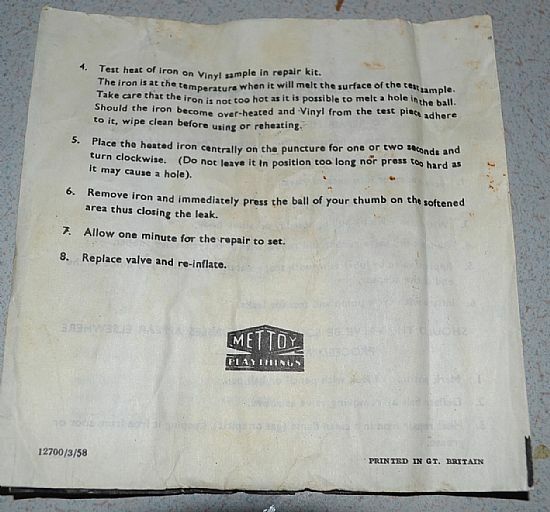 Heat it up and seal those thorn holes! 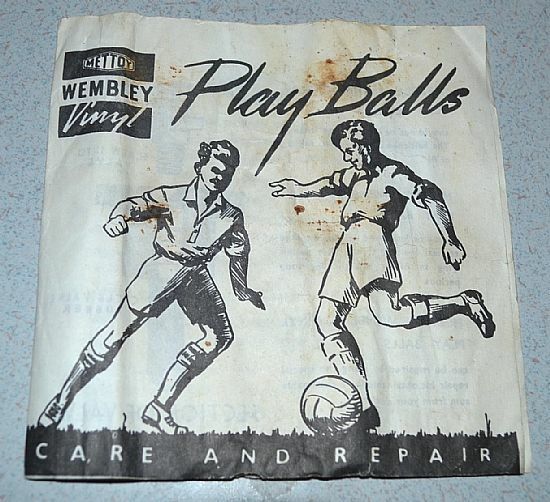 I don't recall ever seeing this when I had this ball. 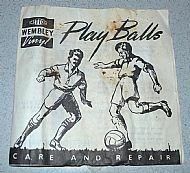 Dated 1958 so a very early one offers advice on the ball and repairs. 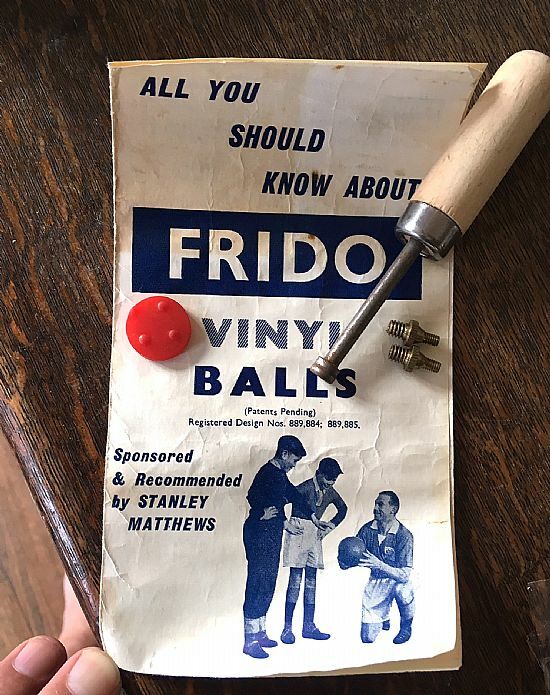 All you could possibly wish to know.